One day, one idea came in my mind to create media items in specific languages only, which is very useful thought. By default, Sitecore media item gets created in many languages, where we need actually one or two out of them. Want to know why? Then read why sitecore media item gets created in multiple languages. NOTE: This issues was recreated in Sitecore 7.2 and older versions. Sitecore 8 and later creates media items only in context language. Less insert queries to DB tables, less records fetched while fetching media item details. DataCache and ItemCache will be created in selected languages only instead of all languages. Reduced Database size, where millions of media are stored. So, overall performance improvement while uploading media item and while using/fetching media item. Create your custom class inherited from the Sitecore.Resources.Media.MediaCreator one, say SitecoreTactics.Resources.Media.MediaCreator. In this class you should override CreateItem method to retrieve there the set of the languages from the web.config setting. This set should be used as the languageArray in the foreach cycle. Thus the unversioned mediaitem with certain language versions will be created. Create your custom class inherited from Sitecore.Resources.Media.MediaProvider one. In the constructor of this class you should assign an instance of our custom MediaCreator class (from Step#1) to the MediaProvider "creator" private field using the Reflection. So, the MediaProvider will use our own code of MediaCreator. Create a custom class inherited from Sitecore.Pipelines.Upload.UploadArgs and add here an extra "SpecialVersioned" property. This property will indicate to Sitecore.Pipelines.Upload.Save processor to execute the custom actions. Create a custom class based on Sitecore.Shell.Applications.FlashUpload.Advanced.UploadTarget one and define it in \Website\sitecore\shell\Applications\FlashUpload\Advanced\UploadTarget.aspx file instead of the default one. In this class you should assign a value to your custom UploadArgs.SpecialVersioned property similar to the UploadArgs.Versioned one. Create your custom class based on the Sitecore.Pipelines.Upload.Save one and register it in the web.config <uiUpload> pipeline instead of the default one. It's working great, isn't it? 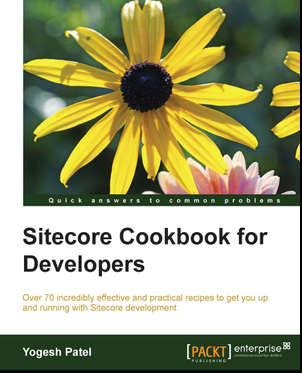 And yes, many thanks to Yuriy Zakharov from Sitecore Support to provide such a nice solution!! I am using Sitecore 8.2 and it seems that the behavior was changed. "By default, Sitecore media item gets created in many languages, where we need actually one or two out of them" - this doesn't seem to be the case anymore. Hi Rosen, thank you for the comment. You are right. It's not an issue anmore on Sitecore 8.